d) the terms detailed in this document. The Customer accepts all of the terms and conditions detailed in this document by purchasing a permit or permits from the Eräluvat.fi web-store. If the Customer does not accept all or some of these terms, he or she may not purchase permits from the web-store. The Customer accepts the terms by checking the box "I accept the terms of wilderness permits and permit reservation " (stage 3/5 of the purchase process). It is also at this stage where the Customer chooses the payment method, after which the permit is displayed on screen so that it may be printed. The Customer accepts the permit and confirms the purchase by continuing the transaction and completing the payment (stage 4/5). Once payment has been completed, the transaction is considered binding for the Customer. If the transaction fails or is interrupted during payment, or if the transaction process differs from what has been described here, the Customer must contact Metsähallitus. The Customer will be charged for unpaid permits in cases where payment has failed or been interrupted and the Customer has not contacted Metsähallitus about the matter. 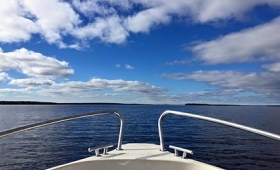 A payment transaction may fail if the quota for the permit in question is suddenly filled due to a simultaneous transaction occurring elsewhere. An overload of the system may also lead to malfunctions that result in a failed permit transaction. The Customer must contact Metsähallitus in such an event. Metsähallitus does not guarantee the success of a permit transaction, nor does it guarantee that the Customer will receive a permit for the intended target area and time period if the permit in question is one with a limited quota. Metsähallitus is not responsible for damages resulting from malfunctions, interruptions or other technical problems that hinder the use of the online permit service. The completion of the payment transaction and returning from that transaction are conducted in a service controlled by a third party. Metsähallitus assumes no responsibility for the functionality of this third party service. Furthermore, Metsähallitus is not responsible for any possible indirect damages to the Customer resulting from a failed purchase transaction. When purchasing a permit/permits, the Customer is responsible for ensuring that he or she receives the permit/permits purchased, as well as the terms of the permit, description of the target destination and a map of the area from the web-store. When a purchase transaction is completed successfully, the system will send a confirmation email to the email address entered by the Customer during registration. This confirmation email is not a prerequisite to the formation of a binding transaction, as the binding transaction and the responsibility to pay have already been formed earlier when the Customer accepted and saved the permit during the payment stage of the transaction process (stage 4/5). Metsähallitus staff does not send invoices, confirmations or other such information to the Customer regarding online permit purchases. The company responsible for providing and operating the payment forwarding service for the Eräluvat.fi web-store is Paytrail PLC (business ID: 2122839-7) in co-operation with Finnish banks and credit institutions. For transactions completed using Visa, Visa Electron or MasterCard cards, Paytrail is displayed as the recipient of the payment on the Customer's credit card bill. Paytrail forwards the payment to Metsähallitus who provides the permits. Paytrail PLC is licensed to operate as a payment institution. The Customer accepts all of the terms and conditions detailed in this document by purchasing a mobile permit or permits from Eräluvat.fi. If the Customer does not accept all or some of these terms, he or she may not purchase mobile permits. The Customer accepts the terms and conditions by calling the number of the selected permit. The service first announces the price of the call (with angling permits this is announced after destination selection) and, depending on the permit type, the Customer must then dial additional choices, e.g., destination number, starting date or hunter number (only for moose hunting permits). Once all necessary choices have been made, the Customer receives a text message that asks the Customer to reply with the permit applicant's name. The text message containing the actual permit is sent only after the Customer has replied to the first message with his or her name. Snowmobile track permits are the exception: no name is required and the permit message is sent immediately. If the Customer does not receive the text message asking for the name of the applicant, or the text message containing the permit itself, within an hour of the call, the Customer must contact AinaPay Oy, the provider of the mobile permit service (tel. +358 201 553070). The purchase transaction may fail if the quota for the permit in question is suddenly filled due to a simultaneous transaction occurring elsewhere. 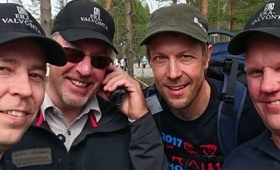 In the event that the purchase transaction fails due to a malfunction, the Customer must contact Metsähallitus by calling the wilderness permits service number (tel. +358 20 69 2424). Metsähallitus does not guarantee the success of a permit transaction, nor does it guarantee that the Customer will receive a permit for the intended target area and time period if the permit in question is one with a limited quota. Furthermore, Metsähallitus is not responsible for any possible indirect damages to the Customer resulting from a failed purchase transaction. The Customer is charged for the permit immediately as the system announces the price of the call. Consequently, the charging is not dependent on the completion of the transaction. In the event that there is a problem with the transaction, the Customer must contact Metsähallitus by calling the wilderness permits service number (tel. +358 20 69 2424). The mobile permit service is provided and operated by AinaPay Oy (business ID: 1636595-2). AinaPay Oy transfers the payment to Metsähallitus who issues the permits. As of 1 January 2005, issuing a hunting, fishing or track permit is considered an administrative decision. A person who is dissatisfied with a decision may seek rectification from Metsähallitus within 30 days of being informed of the decision. Rectification instructions are available at the offices and service points of Metsähallitus. Metsähallitus is not responsible for informing hunters about hunting seasons. It is the responsibility of the hunters to find out when hunting seasons begin and end from official sources: the Finnish Wildlife Agency (www.riista.fi) or the Ministry of Agriculture and Forestry (www.mmm.fi). A Customer who has purchased a permit has the right to cancel the permit and be refunded to the full extent, minus a €13 handling charge, in the event that it would be unreasonable to demand the Customer to use his or her permit because of a sudden serious illness, accident or death of the Customer or a close relative of the Customer (close relatives in this context include the following: spouse, common-law partner, child, parent, parent-in-law, sibling, grandchild and grandparent) or because of other unexpected and serious events. These other unexpected and serious events include, for example, situations such as house fires where grievous property damage is suffered. The illness or death of a dog or the breaking down of a car are not considered grievous damages in this context. The Customer who purchased the permit must notify Metsähallitus of a cancellation without delay. The force majeure must be demonstrated with a reliable document such as a medical certificate, record of a police investigation or a statement from an insurance company as soon as possible and, at the latest, within two weeks after the force majeure situation has occurred, unless abiding by this deadline would be unreasonably difficult for the Customer. The report of the force majeure is to be delivered to the following mailing address: Metsähallitus Eräpalvelut, PL 81, 90101 OULU. If a cancellation is made for the aforementioned reasons after the time period specified in the permit has already begun, the Customer will receive no compensation. A purchased permit cannot be cancelled, changed or transferred to another person without a specific reason defined in section one (1). - An unpaid permit cannot be cancelled, changed or transferred to another person after the payment deadline. - An unpaid permit may be cancelled before the payment deadline without any cancellation fees. - An unpaid permit may be changed or transferred to another person before the payment deadline. These changes and transfers are subject to a €13 handling fee. - Failure to pay is not considered a cancellation. Note! Seasonal hunting permits granted by application cannot be cancelled or transferred to another person after the permit has been written! The Customer who has been issued a permit is responsible for providing a report of the hunt immediately after the hunt is completed (Section 46 of the Hunting Act). 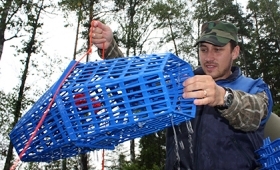 This report is to be submitted either online at www.eraluvat.fi/en/game-and-fisheries-services/catch-feedback or with the form delivered with the permit. Fishing catch report may also be submitted online at www.tuikki.fi. Permits issued by Metsähallitus for off-road traffic on state-owned land are administrative decisions made in accordance with the Act on Metsähallitus (234/2016) and Off-Road Traffic Act (22.12.1995/1710). A person who is dissatisfied with a decision may seek rectification from Metsähallitus within 30 days of being informed of the decision. Rectification instructions are available at the offices and service points of Metsähallitus. An off-road traffic permit or permit for groups or companies issued on application for operating outside snowmobile tracks may not be cancelled after the permit has been written. If the permit is cancelled before the permit period of validity begins, the permit buyer will be reimbursed for the amount of the permit, minus charges for processing the cancellation. If the permit is cancelled after the period of validity has begun, the buyer will not be reimbursed for the permit fee paid. In accordance with section 7 of the Decree on the Ministry of the Environment (1029/2017), charges based on the percentage of work performed in relation to the fee paid shall be levied for processing the cancellation of the paid permit. If the charges incurred by cancellation of the permit are equal to or greater than the price paid for the permit, no compensation shall be paid. Please note! Metsähallitus will not pay any compensation for amounts less than 20 euros. - An unpaid personal track permit or family track permit may be cancelled before the permit period of validity begins without incurring any cancellation charges. - An unpaid off-road traffic permit issued on application for operating outside snowmobile tracks or permit for groups or companies may only be cancelled before the permit has been written. In accordance with section 7 of the Decree on the Ministry of the Environment (1029/2017), charges based on the percentage of work performed in relation to the fee paid shall be levied for processing the cancellation of the paid permit. Note! Off-road traffic permits issued on application cannot be cancelled or transferred to another person once issued! 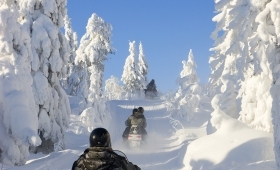 Off-road traffic permit issued for operating outside snowmobile tracks or permits for groups or companies may not be changed or transferred to another person. A personal track permit or family track permit may only be changed or transferred to another person before the permit period of validity begins. In accordance with section 7 of the Decree on the Ministry of the Environment (1029/2017), charges based on the percentage of work performed in relation to the fee paid shall be levied for processing the changing or transfer of the permit. Cancellation shall be made either in writing (letter, email) or by calling a customer service point during business hours. A cancellation is deemed as having taken effect at the moment Metsähallitus has received knowledge of the cancellation. A cancellation made by email shall be deemed as received when it is found on a Metsähallitus recipient device or information system at a customer service point during business hours to the extent that the message can be processed. If the electronic message arrives after business hours, the cancellation shall be deemed as taking effect on the following open day. Reservations are not cancelled automatically if a customer fails to pay an invoice; the customer must always cancel a reservation if he/she does not intend to use it. If the invoice is not paid despite demands for payment, Metsähallitus reserves the right to cancel the reservation and charge the customer a cancellation fee in accordance with these terms of reservation. If a reservation is cancelled before the scheduled start date due to sudden illness, accident or death of the customer or his/her relative, the customer is entitled to a full refund of his/her reservation payment, minus service fees (13 €, incl. VAT). In case of illness or accident, the customer shall provide Metsähallitus with a medical certificate within 14 days of the cancellation. If a reservation is cancelled for any of the above reasons during the reservation period, the reservation payment shall not be refunded. If the customer cancels his/her reservation at least 60 days before the scheduled start date, no cancellation fee shall be charged and the customer is entitled to a full refund of his/her reservation payment, minus service fees (13 €, incl. VAT). If the customer cancels his/her reservation less than 60 days, but more than 14 days before the scheduled start date, a cancellation fee, which is 30% of the reservation amount, but no less than 20 € (incl. VAT), shall be charged. If the customer cancels his/her reservation within 14 days of, but at least 48 hours before the scheduled start date, a cancellation fee, which is 50% of the reservation amount, but no less than 20 € (incl. VAT), shall be charged. If the customer cancels his/her reservation within 48 hours of the scheduled start date, the full reservation amount will be charged. According to Section 15 of the Act on Metsähallitus (234/2016) and Section 11 of the Act on Criteria for Charges Payable to the State (150/1992), fees for services subject to public law rendered by Metsähallitus may be collected without a court ruling or decision in the order specified in Finnish legislation regarding distraint (367/61). Metsähallitus stores the Customer's personal data in its customer information system. The handling and transferring of personal data is conducted according to the Personal Data Act (523/1999). The Customer has the right to review the information stored about him or her in the system. Metsähallitus reserves the right to use and transfer personal data stored in its register for the purposes of direct advertising, distance selling and other direct marketing, as well as for the purposes of market research and opinion polls, unless the Customer specifically denies Metsähallitus this right. To deny Metsähallitus from using his or her personal data for the aforementioned purposes, the Customer must notify Metsähallitus of the matter either by email (eraluvat@metsa.fi) or by calling the wilderness permits service number (tel. +358 20 69 2424). 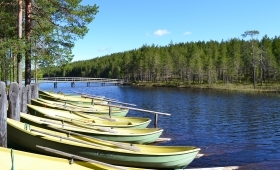 The description of file containing the customer data may be viewed at www.eräluvat.fi or it can be requested from the wilderness permits service number (tel. +358 20 69 2424).